There’s something special about this time of year. I can talk about history all day every day, but it’s extra special during the month of February. The community comes together to celebrate black excellence in all areas of history. It’s truly a beautiful thing. If we could just keep the momentum going after February, can you imagine how amazing that would be? Okay, so what’s a trip back to North Carolina without visiting my old stomping grounds. I had a special companion with me (Flat Stanley), and I decided to turn the experience into a “Historical Tour with R.J.” I decided to revisit a place where I was an intern on and off site. 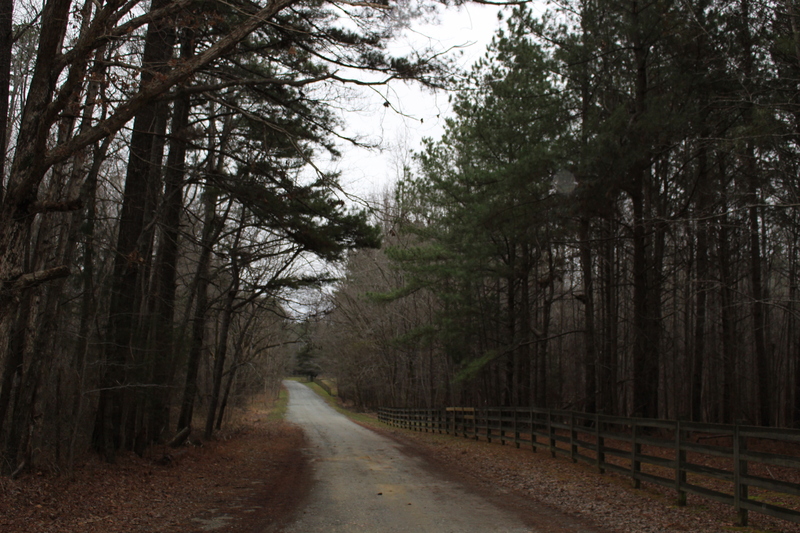 Historic Stagville was one of the largest slave plantations located in Durham, NC. The plantations was owned by the Bennehen-Cameron family consisted of 900 slaves, and almost 30,000 acres of land. Yes, you read that correctly, a lot of land and slaves. I want to talk about the history of the slaves and their contribution to Stagville. Slave Dwellings would house 4 families (5-7 people, one room per family) completed in the 1850s. 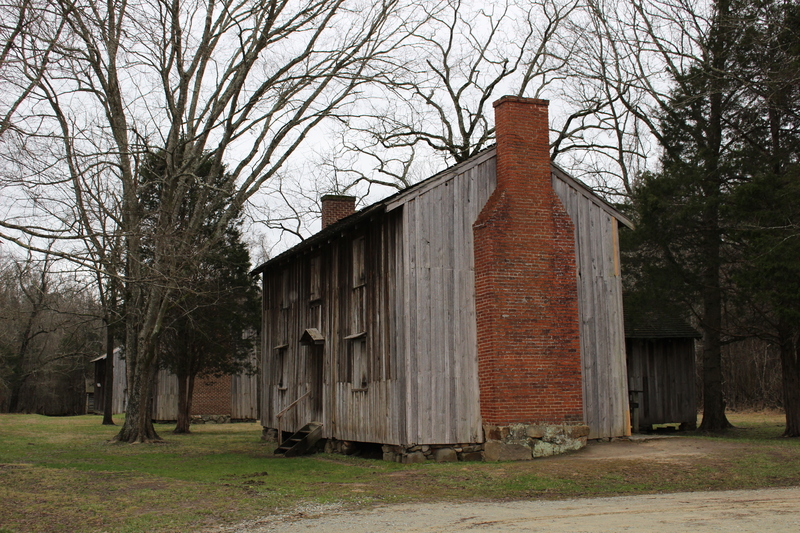 The slave dwellings are truly fascinating to experience in person. The dwellings are still standing and when you visit the site you are able to go inside, and take plenty of pictures which is always nice! You can’t leave the slave dwelling without knowing the history of the chimney. North Carolina has red clay. The bricks in the chimney are made from that clay. The truly fascinating part is that some of the bricks were not completely formed or dry before assembly. 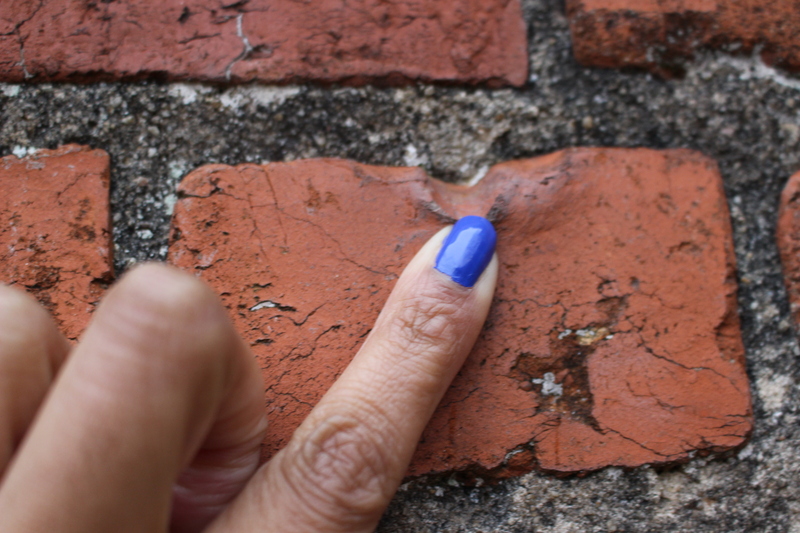 In a few of the bricks you will find fingerprints, and even a child’s footprint. Fingerprint found in the chimney at Stagville. 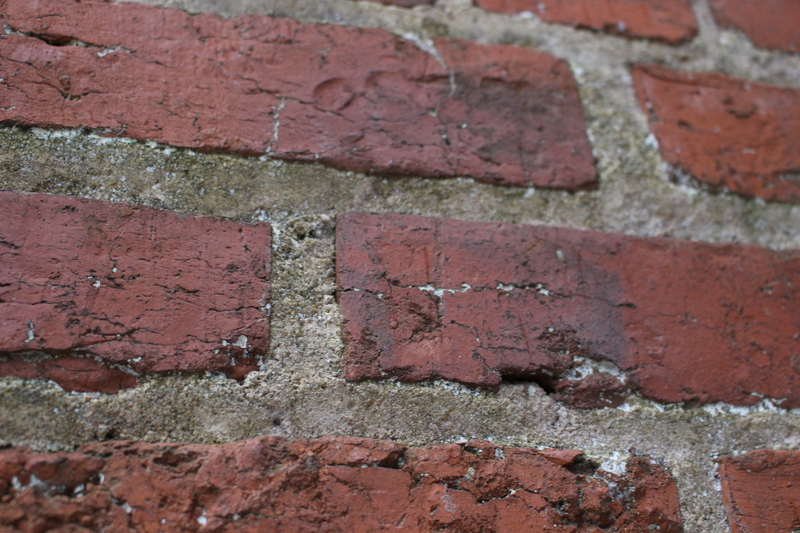 A child’s footprint found in the bricks on the Stagville Slave Dwelling Chimney. The tour is not complete without having a tour of the Great Barn. The Great Barn was completed in the Spring of 1860, and through all of the storms the barn is still standing. The Great Barn was build without a BLUEPRINT. The slaves that built the barn are believed to be from the coast. The roof of the barn has the resemblance of an upside down boat. Some of the original wooden beams and pegs are still intact and only with minor updates to the structure. The barn housed the mules and other products that were used on the plantation. 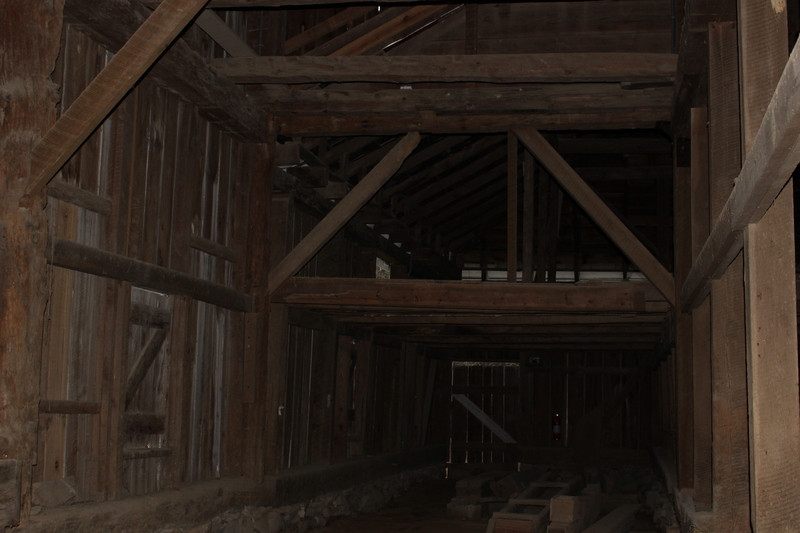 One of the photos taken inside of the great barn. Please see featured photo for an outside view of the barn. It is important to highlight African American architecture, which a lot of times goes unnoticed. The dwellings and barn that are still in it’s original condition over 150 years later is absolutely remarkable. The blood, sweat, tears, finger and footprints are an indication of our strength, culture, and continuous excellence. The path is not always straight or easy. The journey often brings about uncertainty, but if we choose the right path it can lead to something truly amazing. Thank you for being apart of this “Historical Tour with R.J.” during Black History Month! Who am I? When hiding gets tough.